Kilcock were last night drawn to face Kilcullen in round one of the 2017 Kildare Intermediate Football Championship. Declan Gibbons’ men will face off against last years Junior A champions on the weekend of May 5th-7th. Kilcock will once again be amongst the 3 or 4 teams that will be fancied to go all the way but they know all too well how difficult this rank can be, having failed to make it to the quarter finals in 2016 under the guidance of Willie Hughes. Since the arrival of Gibbons, the landscape of the team has changed somewhat, with many of last years minors been given an opportunity to cement their place in the starting fifteen, while former county player Ciaran Fitzpatrick has moved onto pastures new with St. Judes in Dublin. Gibbons and his management team will be looking for the likes of his son Jason, Daniel Courtney, Shane O’Rourke, David Duke and recent addition Conor Caufield from Cavan to help his side progress to the business end of the competition later in the year. 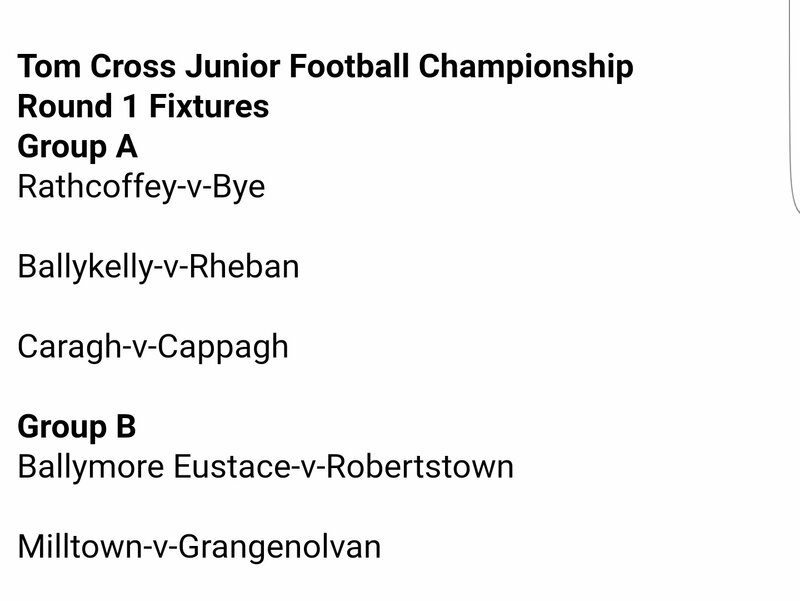 Cappagh: Elsewhere neighbours Cappagh have been drawn in Group A of the Tom Cross Junior A Football Championship alongside Rathcoffey, Caragh, Ballykelly and Rheban. The men in red and white will strongly fancy their chances of progressing from this group and begin their quest to do so against Caragh.